536 2300 E is an incredible, Early-American style home custom built in 1997 on 6 beautiful acres! 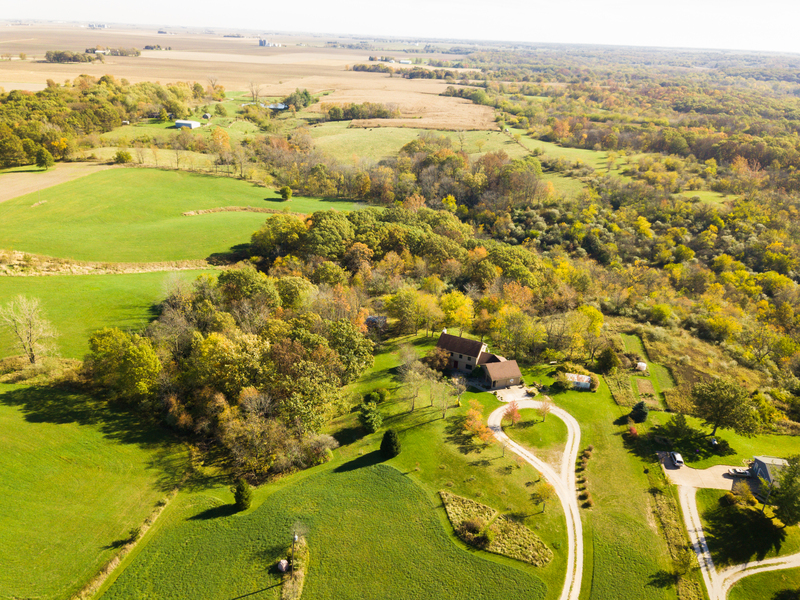 This home is sure to stun you and perfect for the wildlife lover or avid hunter- there is an abundance of deer and wild turkeys around! Dry sink in half bath is from a cabin in Kentucky, cabinets are custom maple, wood floors are Southern Yellow Pine from a torn down 3-story barn in Forrest built in 1895, maple staircase is a replica of a 1780 farmhouse, all iron door latches, hinges, & hardware were hand forged in Pennsylvania, Fireplace mantle is from a cabin in KY, all interior doors are from the 1700s, the list goes ON! Eat-in kitchen, 4 bedrooms, 3.5 baths, screened porch, library, 9′ ceilings on main floor, finished basement with bedroom & full bath, 2nd floor laundry and 3 outbuildings. House equipped with Geothermal heating & cooling. New water heater Oct ’16 and Newer Culligan water softener. You won’t want to miss this one of a kind home! Is there a bedroom and bathroom on main floor?